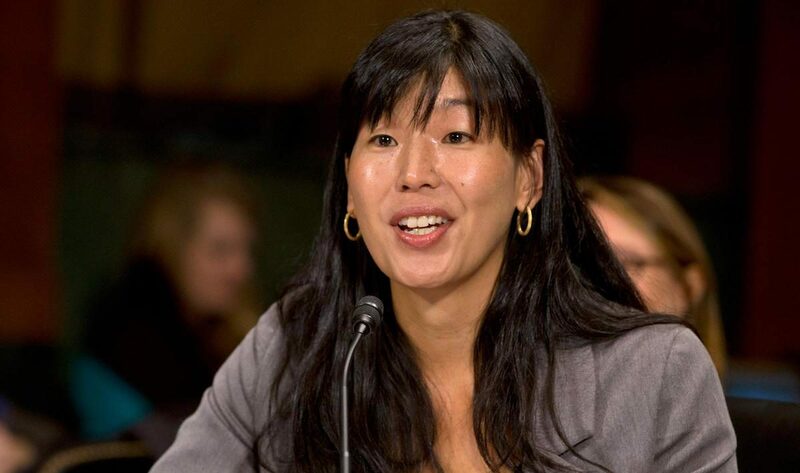 Ai-jen Poo, Director of the National Domestic Workers Alliance, Co-director of Caring Across Generations, and MacArthur Genius Award recipient discusses the challenges faced by domestic workers in the U.S. and how a basic income could dramatically change things in that space. Owen: Our guest this week is Ai-jen Poo. She’s the executive director of the National Domestic Workers Alliance, recipient of the MacArthur Genius Grant, and co-director of Caring Across Generations. Welcome, Ai-jen. Ai-jen: Thank you, great to be with you. Owen: Why don’t you start by telling us about the National Domestic Workers Alliance and the work you do there? Ai-jen: Sure. My work is alongside the millions of workers, mostly women, who go to work every day in our homes, and they care for some of the most important parts of our lives, our kids, our aging loved ones in our homes. They make it possible for millions of us to go to work every day knowing that our families are in good hands. Our work is really about making sure that this work is valued, respected, and protected, and, for the millions of workers who do this work, to be able to know that these jobs are good jobs with family-sustaining incomes and jobs that you can really take pride in and support your family on and one generation can do better than the next. Now one of the things that started happening about five years ago is we started realizing that this workforce is growing at an incredibly rapid pace and that has to do with some pretty major trends in our demographics and in families and in our workforce. To be clear about what those are, essentially the Baby Boomer generation which is this massive generation, culture-driving generation is aging rapidly at a rate of four million people per year turning 70 and also living longer than ever before because of advances in healthcare and technology. Then the Millennial generation which is the largest generation in history and most diverse, by the way, is also starting to have families of their own, turning 35, and having four million babies per year. We suddenly need more care than ever before and therefore a stronger caregiving workforce. My work has been, especially now that we’ve launched this Caring Across Generations effort, it’s about creating the kind of solutions that allow for families to afford and have access to good care while making sure that the workforce that does the care has the respect and the kinds of quality jobs they deserve. Jim: Can you tell us a bit about what are some of the biggest challenges that are facing domestic workers today? Ai-jen: Sure. We still in the 21st century, have a hard time really treating this work as real work. It’s oftentimes referred to as help or companionship, and what that results in is this way in which this work remains in the shadows. Despite it being a real profession for millions of people, it’s treated as less than real work and that limits our ability to get access to the kinds of training and benefits and security that we deserve, and it certainly is reflected in the wages. A lot of people don’t realize this, but for example, for the home care workforce which cares for the elderly and people with disabilities, the annual median income for a homecare worker is $13,000 per year. That is so far from a family-sustaining wage and so you think about these millions of workers who are working incredibly hard, doing incredibly important work, and earning poverty wages. That’s the lot for so much of our workforce. Jim: Can you tell us a little bit about some of the campaigns that you’ve been fighting in order to really secure more rights and more economic justice for people in the space? Ai-jen: Sure. Starting back in 2003 in New York, I started working on trying to create basic protections for this workforce in our nation’s labor laws. A lot of people don’t know this history but in the 1930s when we passed the labor laws that were a part of the New Deal, which are the cornerstone of protections that we all take for granted when we go to work, Southern members of Congress refused to support those labor laws getting enacted if they included domestic workers and farm workers, which is a part of a very dark history of racial exclusion in this country. To this day, many of those exclusions remain. In the early 2000s, we set out to try to transform those exclusions and put real protections into place, state by state. We had our first big victory in New York where we passed the first Domestic Worker Bill of Rights in 2010, and now seven states have passed legislation. But I will say that just having the minimum standards on the books is far from enough to make these jobs, good jobs. Right now, we’re fighting for what we call Universal Family Care in the state of Maine and Michigan, which is essentially the idea that every single working family should have access to economic support to afford child care, elder care, and paid family leave. That would enable them to go to work and fully participate in the workforce and reach their full potential without having to choose this horrible false choice between work and family. In the 21st century, it just feels like we really need that. In Maine and Michigan, we’ve got this really exciting campaigns for universal family care. Owen: Perhaps along those lines, you signed the belief statement for the Economic Security Project saying that we should explore basic income to guarantee economic security for all people. What motivated that decision? Ai-jen: Well, I’m really passionate about the idea that most of the social contract that we have in place and the policies and systems that support our democracy and our economy to work properly are policies that were born of a very different age. A time when our economies were locally based, regionally based, and nationally based whereas now, it’s a globalized economy. A time when manufacturing was the base of this economy and now it’s very much a service driven economy. So much has changed about the way that we live and work in this country. I think we need a new framework for and we need to rethink our social contract at its core to be reflective of the realities facing working families today in this country. I believe it entails a new set of universalisms. Social insurance programs like unemployment, for example, were created at a time when people had stable long-term employment and intermittent periods of unemployment. The whole framework were set up to support that need of intermittent unemployment. Today, in more and more places, what we’re seeing is periods of long-term unemployment and intermittent and temporary employment. We need a different safety net and a different framework for thinking about meeting those needs in the economy. For us, we’re obsessed with caregiving because we’re just seeing how we’ll never get to gender equality in the workforce, we’ll never get to a place where workers, men and women, can really realize their potential in our economy if they’re constantly being forced to make impossible choices around caring for the people they love and going to work. We think that’s a really big piece of the puzzle too, and universal basic income, universal family care, like a new framework for workers to have a voice, these are all pillars that need to be redesigned. Jim: On that note, can you tell us a bit more about what impact do you think the universal basic income might have on the domestic worker space? Ai-jen: I think part of it, it’s similar to family care whereas we live in such insecure economic times in that more and more workers are dealing with jobs that are temporary, part-time, independent contracted. There’s much less of the stable long-term employment as I mentioned. What that means is that you’re really living paycheck to paycheck and really struggling, and you’re on the brink. Anything could go wrong: a car accident, a stroke in the family, any number of things could go wrong and create a kind of crisis that makes it impossible for you to then restabilize. It can trigger a spiraling of economic insecurity and into poverty that’s incredibly difficult to get out of. What something like family care support or basic income can do is make what should just be a temporary moment of need, keep it a temporary moment of need as opposed to a long-term crisis. Owen: You mentioned before that the population of people in need of domestic workers is rapidly increasing. Do you see other changes in the domestic worker space these last few years and going forward into the future? Ai-jen: There are so many changes. Already the Bureau of Labor Statistics says that home care aides, home care workers are the fastest growing occupation in our entire economy and the estimates are that by the year 2030, if you take all of the workers who are providing child care in different settings and all the workers who are providing elder care and support for people with disabilities in different settings, that that combine will be the single largest occupation in our entire economy. We’re talking about the care economy, far from being marginal and in the shadows. It’s actually going to be defining of our entire economy. We all have a stake, beyond the fact that we all have families and we all want to work, we all have a stake in this work becoming dignified life-sustaining work because it sets such a huge tone for the rest of our workforce. I’m of the belief that, in the ‘20s and ‘30s manufacturing jobs were dangerous, low paid, precarious jobs. We collectively as a country transformed those jobs into good jobs with the pathway to real economic security and stability. Our task of the 21st century is to look at the low-wage service jobs like care jobs and actually do the same and make the same transformation happen. We’ve done it before, we can do it again. Jim: Ai-jen, you mentioned that universal basic income would service one pillar in a larger new social contract that we could be moving towards. Can you tell us a little bit more about what else would be part of that contract, and also how you’re thinking strategically about moving towards it? Ai-jen: Absolutely. I think that universal basic income, universal family care, this idea that every single working family would have some economic support to afford child care, elder care, and paid leave when they need it to care for their families, and portable benefits and three ideas that really deserve some oxygen and some real resources behind pilots and demonstration projects. They’re at the level of ambition that is appropriate. We’ve got some major challenges in this country with unprecedented levels of inequality, and I think we need bold solutions. I also think of really important piece of this is going to be worker voice. We have a situation in our economy where 75% of the workforce earns less than $50,000 per year and meanwhile there’s so much wealth being generated. We have to figure out how workers have more of a voice and can share, where more workers can share in the prosperity that we’re collectively generating as a nation. That has to do with voice, it has to do with having new forms of organization like ours, the National Domestic Workers Alliance. There’s lots of groups out there that are experimenting with different kinds of organizational forms to give voice to working people. Owen: I’m wondering as the domestic worker population increases and as there’s more urgency around these issues if you’re finding that they get more attention or if that’s not happening yet? Ai-jen: Great question. To some extent, it is happening partly because our movement is growing and partly because more and more families are really struggling with the need for care, whether it’s childcare or elder care. So more people are feeling the burn and the need in a way that feels right there at the surface. I also think that the fact that more women are in positions of leadership in the private sector and in government can give voice to the challenges of doing work and having ambition and having responsibility in wanting to contribute in the workforce and then not having the support we need at home for our families. That’s becoming more and more a part of the conversation. We saw that during the election cycle in 2016. I think we’re going to continue to see that. Jim: Those were all the questions that we had, but anything else you’d like to add? Ai-jen: I will say that one of the things that is really important to me is in this period of a lot of political polarization and change that we preserve the space for big bold ideas like the universal basic income and universal family care and portable benefits. These are all ideas that need oxygen and resources to become real. We need to take them to their next level. We don’t have everything figured out, but we need to start building from the ground up, which is why we’re really excited to be championing these campaigns in Maine and Michigan and folks are doing amazing work on the ground building constituencies behind these ideas and why I’m excited to be a part of the Economic Security Project. Jim: Great. Well, thank you so much for chatting with us. Owen: That was Ai-jen Poo, executive director of the National Domestic Workers Alliance, recipient of the MacArthur Genius Grant, and co-director of Caring Across Generations on the Basic Income Podcast. Also, thank you to our producer, Erick Davidson. See you next week. This entry was posted on February 3, 2017 by owenpoindexter@gmail.com. Please though, consider a simple structure to enfranchise each in the global economic system?